The last couple of years have been turbulent for the international oil market and all of its players. 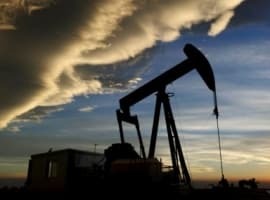 But there are signs that the waters are beginning to calm, as traders and investors wait and see how OPEC’s cuts work. Benchmark prices have stabilized in the last few days, and they might even start rising as the market gets used to growing production from Libya and Nigeria and the decline in compliance rates among OPEC members taking part in the cuts. 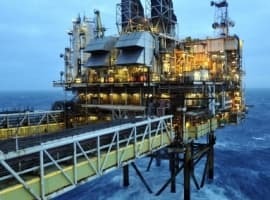 Reuters yesterday quoted a few energy analysts as saying that further production increases in Nigeria and Libya will not make a big splash, as the market already expects them and has factored them in. 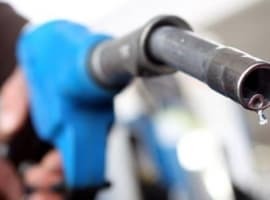 Granted, this means that prices are unlikely to rise above US$50 anytime soon unless OPEC decides to deepen the cuts, which is not at all likely, but it also means that the market is moving towards stability. U.S. output is also rising but—and this is the key—the rate at which it is rising has slowed. New rig additions in the last couple weeks have been fewer than in previous weeks—as Oilprice’s Nick Cunningham noted in a recent analysis—and the Energy Information Administration reported two consecutive weekly draws in inventories of a combined 13.8 million barrels. This may be temporary, thanks to driving season, but it’s still good news for the more bullish market participants. In further good news for oil bulls, China’s refiners processed a near-record amount of crude oil last month, at 11.21 million bpd. Refinery runs will likely decline in the current quarter, but the increase, coupled with a rise in crude imports over the first half of the year, suggests that things on the demand side are not as bad as they appear. The International Energy Agency reinforced this sentiment in its latest Oil Market Report, where it revised up its oil demand forecast for 2017 by 100,000 bpd, to 98 million bpd. Meanwhile, big oil traders have found a way to take advantage of the glut. Bloomberg’s Serene Cheong reported last week that Vitol, Glencore, Trafigura, and Gunvor have taken to selling customized oil cargoes from a fleet of tankers off the coast of Singapore and Malaysia. The vessels store all sorts of crude, from European, African, Middle Eastern, and U.S. fields, so the sellers have the opportunity to mix and blend the crude to their clients’ specific requirements and sell it directly from the tankers to buyers in Asia. At the moment, there are 15 Very Large Crude Carriers, capable of carrying up to 2 million barrels of crude, in the Straits of Malacca, Cheong writes. These cargos are being divided into smaller ones, some blends mixed with others for a customized cargo, and then sent on their way to the buyers. Custom-made oil cargoes seem like the smartest choice in the context of a record-high floating storage, as per information from French energy data provider Kpler. The world seems to be still awash in oil, and every stakeholder in the market seems to be coping, from producers to traders. And yet everyone is keeping an eye on OPEC and the upcoming meeting of the ministerial committee that was set up to monitor the cuts. The meeting will take place in Moscow next week, and even if it doesn’t feature an announcement of deeper cuts, prices may not drop as sharply as they would have a few months ago, when knee-jerk selloffs were the standard reaction to the slightest suggestion that the cut wasn’t working.